Søren K is an upscale bistro opened in September of 1999 when The Black Diamond extension of the Royal Library opened by the Copenhagen Harbor. It is a minimalist and modern restaurant which boasts of sleek interiors a delectable menu and a commendable wine list too. They have an espresso bar and a patisserie which makes their yummy desserts. 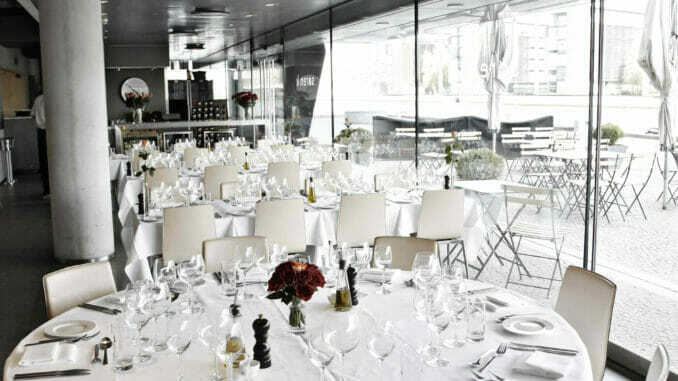 This lovely restaurant serves French-Scandinavian cuisine by chef Jens Sondergaard. Their delectable dishes are low cholesterol because they avoid using rich ingredients such as cheeses, butter and heavy cream. More so, their food choices vary depending on the season and availability of ingredients. They support the use of organic, fresh ingredients produced locally or within Scandinavia to help local farmers. Dining in Søren K is always a pleasant experience -great food, good ambiance and excellent service. Inside you can also find a bookshop, a concert space and a rooftop terrace all in one. Make sure to take a peek before you head out after a sumptuous meal. Reserve online or visit http://www.soerenk.dk/ for more information.